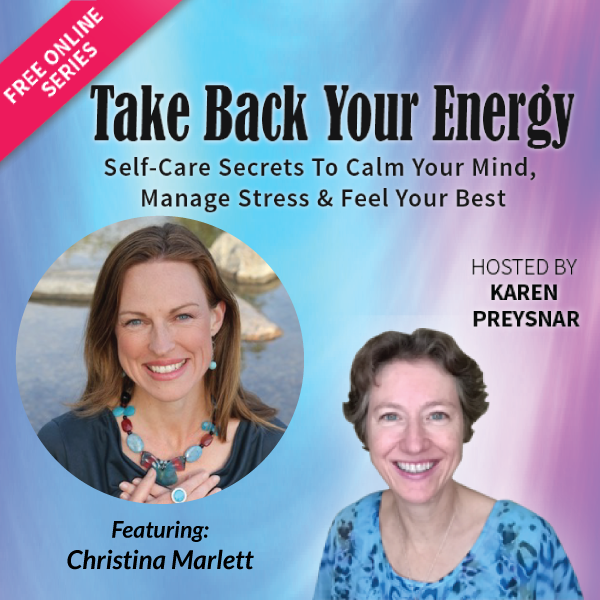 A few weeks ago, I got an email from a woman named Karen Preysnar, who wanted to interview me for her online summit about self-care and energy. That request told me how much the world has changed since I started Courageous Self-Care almost 3 years ago. Initially, self-care wasn't really something that people were talking about, but now, there are entire summits devoted to the idea. How exciting! If you feel like doing an excitement jig, you go right ahead. Of course, I had to interview Karen on the Courageous Self-Care Podcast too. Listen to the podcast here. The Take Back Your Energy summit will help you shift out of the daily habits that drain you, and into the best version of yourself. I invite you to tune in so you can create more vitality, joy & passion in your life.